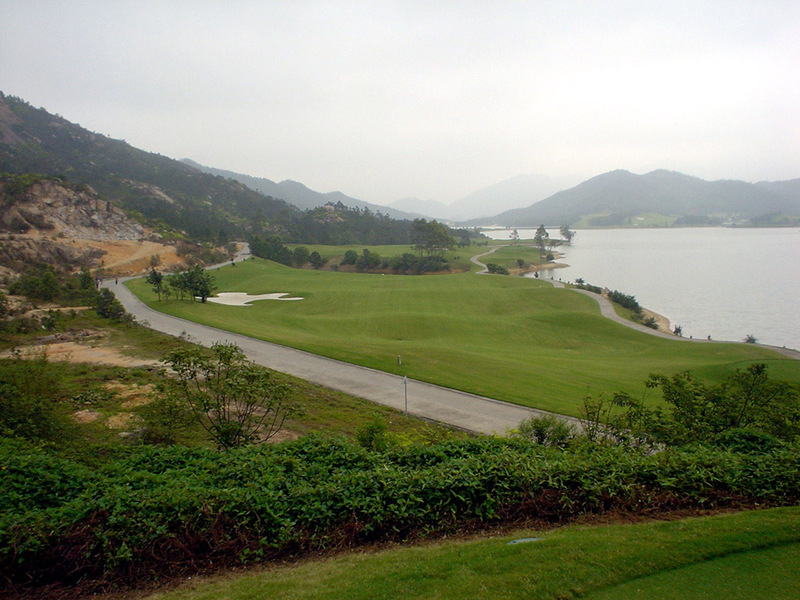 The course is laid out on mountainous terrain surrounding a big lake. 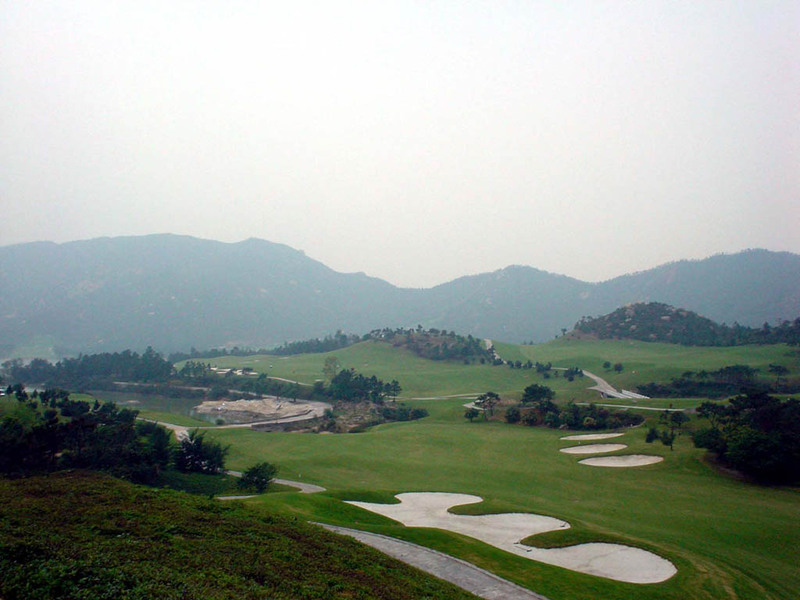 Each hole varies with right & left doglegs and elevation changes. You will never get bored playing here. The course gives you great scnery. Because the tee grounds of some holes are elevated very high, the actual yardage is some 200 yards shorter, so I’m afraid that the official course rating of 74.4 is a little too much and should be around 72.5. 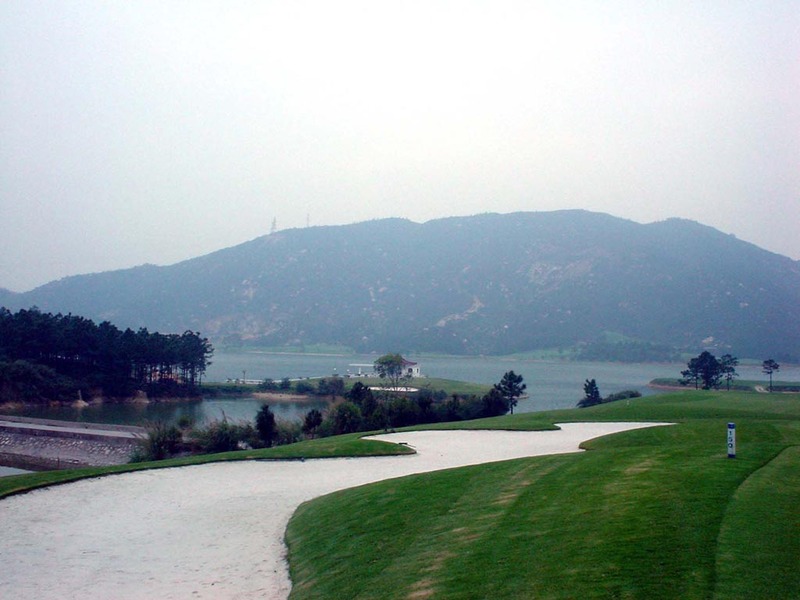 The course was selected the best new course in China in 2001. A driver should not be used on this downhill tee-shot for a long hitter because a creek crosses the fairway 240 yards off the tee. Also, you should hit to the left side of the fairway in order to have a clear view for the next shot as big trees are positioned on the right side to impede your approach. There is a creek on the right bordering the fairway and the green. 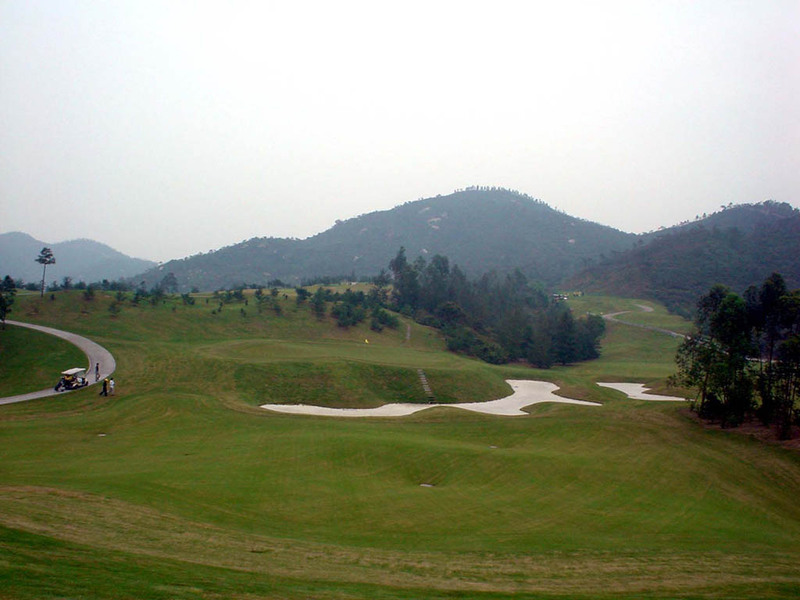 This is a good hole with the well-positioned water hazard and fairway bunkers. This dogleg to the right is also beautiful with a lake on the left. There are 3 series of fairway bunkers, which don’t come into play but give you a nice view. A downhill par 3. This is a very natural hole without the artificial beauty. You should avoid the large bunker protecting the front and right side of the green because it is about twice as deep as your height. This hole is also a sharp downhill from the tee, so you can aim the island green in 2 with a middle or long iron. The fairway slopes sharply from right to left, tee shots tend to roll down to the 30-yard long bunker on the left. You can hit onto the green by an iron on the second shot. Considering the downhill, the length actually is shortened by some 100 yards, so it is a very short par 5. I think that it becomes a great finishing hole if this par 5 is changed into par 4 using the 20 yards shorter tee. 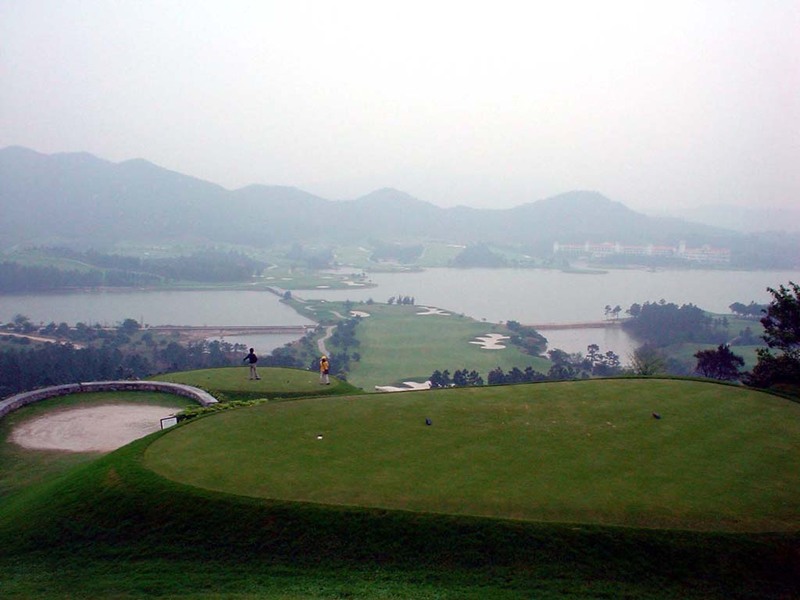 The island green floating in a big lake is worth seeing and it is picturesque. It takes 50 minutes from Zuhai by club bus.